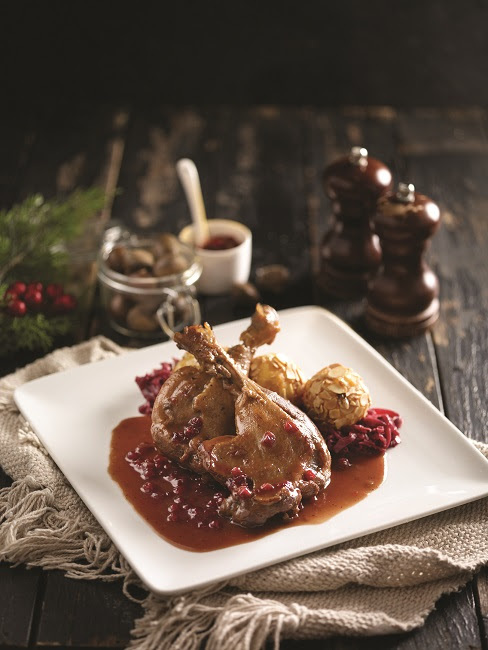 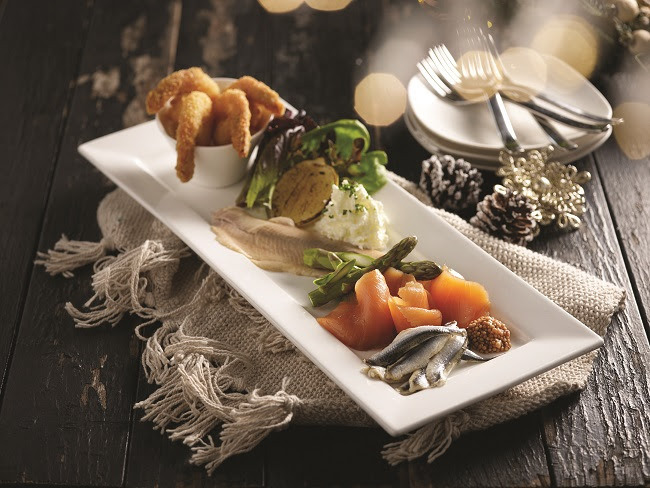 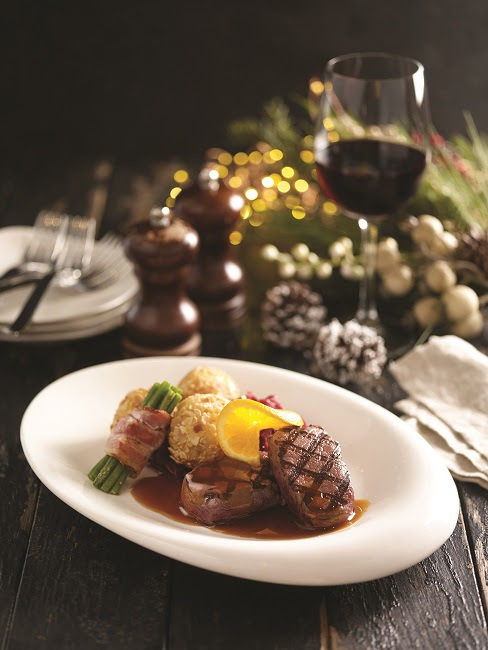 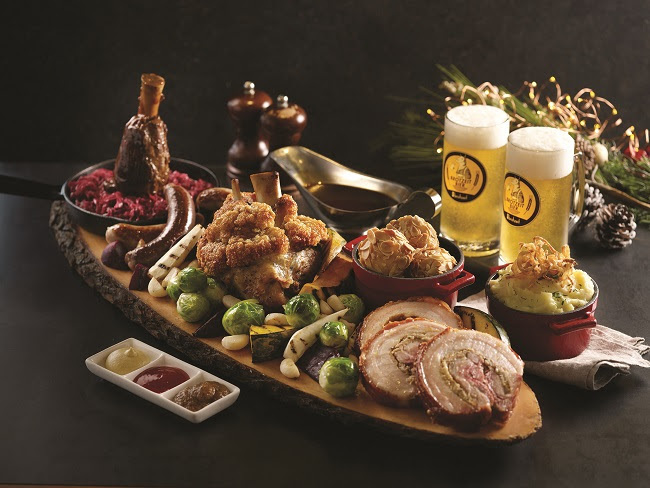 Celebrating the Christmas season with new, award-winning Executive Chef Wolfgang Ranner at the helm of culinary creations, guests at Brotzeit German Bier Bar and Restaurant this festive year-end will be treated to some of the veteran chef’s most treasured Germanic recipes. 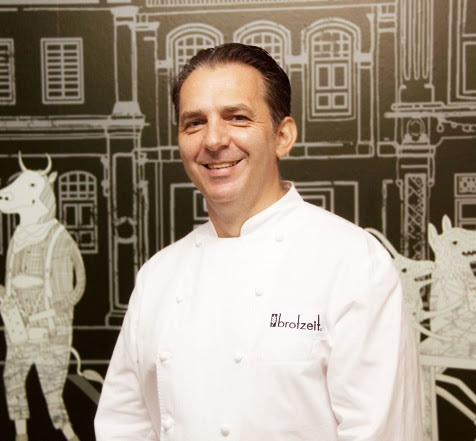 Newly on-board with Brotzeit, Chef Ranner brings with him over 30 years of management experience across Europe, China, Thailand and Singapore in the areas of culinary operations in five-star hotels and catering for over 40 airlines and airport lounges, garnering him an "Executive Chef of the Year" Award in 2009 as recognition of his contribution to the industry. 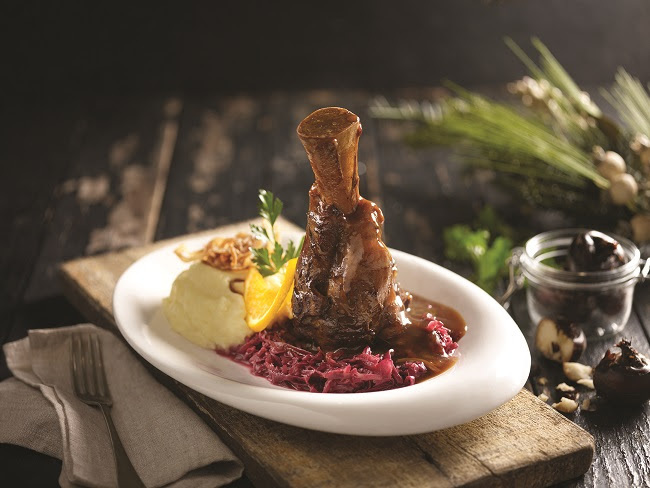 At Brotzeit, Chef Ranner returns to his roots of Germanic cooking, embracing the opportunity to share the region’s diverse cuisine culture and heritage with discerning diners across Asia and the Pacific. Tempting diners to discover the art of the quintessential Christmas Roast, he revives old-time roasting techniques to present a line-up of traditional dishes curated to evoke the toasty cheer celebrated as friends and family gather for a traditional Fröhliche (Merry) Christmas meal. Another classic often enjoyed in German restaurants comprises a duet of savoury and sweet slow-roasted Braised Duck in Cranberry Sauce ($32) , sided with crunchy red cabbage and a unique style of potato dumplings rolled in almond slivers. And for those who want it all, there is Brotzeit’s Christmas Sharing Platter ($118) combing the signature Roast Pork Knuckle, a selection of Veal and Venison Sausages, Roast Pork Roulade and Veal Shank, with ample sides of seasonal vegetables, mash potato and dumplings to satisfy a group of 4 persons and above. Alternatively, the Crispy Pork Belly Roulade ($32) can be ordered separately. 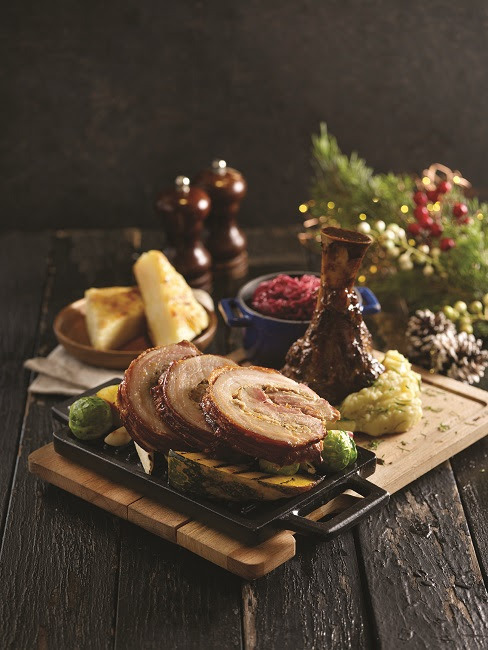 The tender pork belly is first infused with winter-time herbs then slow-roasted to achieve succulent layers of meat and fat, and topped off with irresistibly crisp crackling skin. 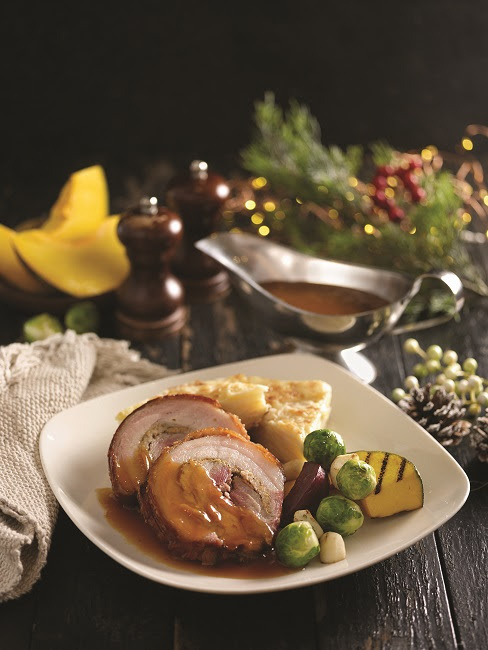 When paired with creamy potato gratin, roasted vegetables and then drizzled with a beer-infused sauce, this becomes a dish that Christmas dreams are made of. 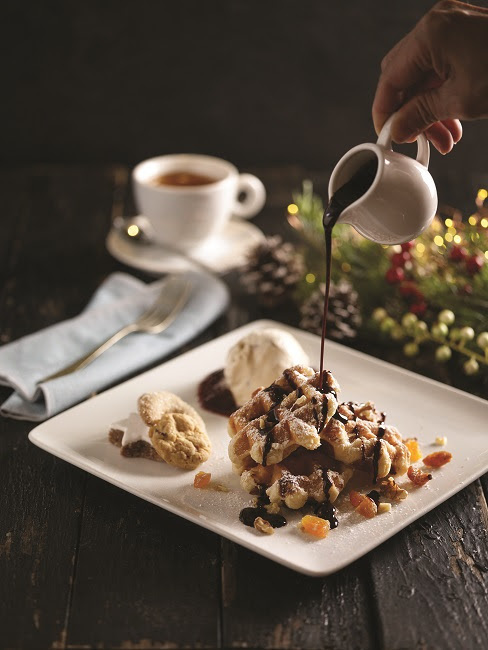 Chef Ranner’s Christmas specialties extend to dessert as well, bringing diners in Singapore a chance to discover a typical festive market treat of warm, crisp Choco Drizzled Waffles ($12) with walnut ice cream, plum sauce and a drizzling of decadent molten chocolate. 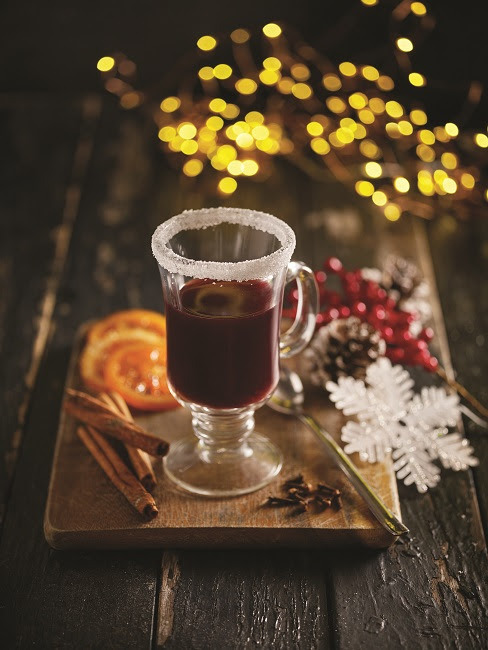 Have this with a glass of Brotzeit’s homemade Gluehwein ($12) - a mulled wine spiced with cinnamon, oranges and cloves, for a truly German Christmas flavour. For more information, refer to Brotzeit Singapore's wehsbite at www.brotzeit.com/outlet/singapore.